After John Wesley Hardin was returned to Texas to serve prison time for the killing of Brown County sheriff’s deputy Charles Webb in Comanche, his wife, Jane Bowen Hardin, and their three children, were left behind in Polland, Ala.
Jane needed money to return to Texas, and theoretically, she sold some of Hardin’s possessions, including a 1868 No. 2 model Smith & Wesson .32 caliber pistol [sic]. The handgun turned up on a junk table at a gun show in Georgia in the 1970s, and ultimately wound up in the hands of Seguin [TX] resident and historian Charles F. Eckhardt. Eckhardt recently lent Hardin’s pistol to the Seguin-Guadalupe County Heritage Museum, and he recently spent two days talking about the man and one of his weapons with curious visitors. By this date in 1944, three days after the D-Day landings, the Allied Forces had only driven in 10-20 miles past the beachheads, as this map at onwar.com illustrates. If there were a CNN back then, we'd be seeing retired generals stating the effort was still very much in doubt. Bring our troops home from Omaha Beach now! The news from Omaha beach this afternoon is very ominous! The President and General Eisenhower should resign immediately, for leading us to believe we could beat the greatest military ever assembled, and coming up with this poor plan. Then, perhaps, we can send representatives to negotiate peace with the Germans, who have done nothing to provoke us, so we can focus on those who did, the Japanese. In any case, no more Americans should shed their blood in this European conflict. If we keep meddling, the Germans might be provoked to attack one of our major cities. If the President continues on this personal vendetta, Congress should vote tomorrow to terminate funding. Merely typing a post in commemoration seems so easy as to not be worthy of the collective effort and sacrifice made. Blackfive's 06JUN2006 D-Day post is also loaded with links to many good posts. Today, we can only wish the good people of the World would once again recognize an insidious global threat and join forces against the evil blight that is radical Islamism, and God willing, eliminate it. (A little more help from the mostly good, peaceful Muslims, in denouncing the terrorism, would certainly help.) God is great, and God is on our side, not the side of those who want to throttle freedoms and beat/torture/bomb/kill those who don't agree with them. Fox Green Beach was the easternmost sector at Omaha, where the bulk of Americans (about 2200) died on D-Day. Bloodspite @ Techography posted about the battle (and more -- illustrated) this time last year. Check it out. UPDATE: He's now posted his 2007 D-Day commemoration post, with a number of good links (including back to here, and thanks for that, Sir). 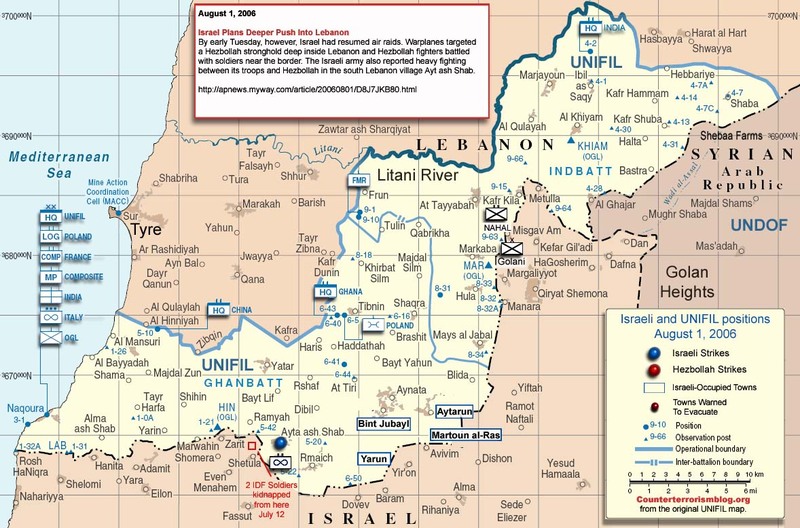 The 1967 Middle East War, also known as the Six Day War, started with simultaneous destruction of enemy aircraft on 05JUN1967, giving Israel command of the air for the remainder of the war. After six days of fighting, Israel's forces have captured the entire Sinai peninsula, the West Bank and Golan Heights. The territory under Israeli control is four times larger than it had been a week earlier. In the buildup, Nasser expressed the Arabs' goal to be: "... the full restoration of the rights of the Palestinian people. In other words, we aim at the destruction of the State of Israel. The immediate aim: perfection of Arab military might. The national aim: the eradication of Israel." Public broadcasting (Ch. 8 in GA) showed an excellent program on events leading to the war, and the results of Israel's stunning victory, last night. Nothing's been resolved, and Israel lost some of its military mystique last summer, so future confrontations can be expected. "In 1862 the Civil War was raging in the US. The Mexican victory kept Napoleon III from supplying the confederate rebels for at least another year. The Battle of Gettysburg, essentially ending the Civil War, was 14 months after the battle of Puebla. And thus, the argument that Mexico's Battle of Puebla victory actually won the US Civil War for the North." Operation Eagle Claw, the mission to rescue the US hostages in Tehran, started on 24 APR 1980. All of us old enough at the time remember a dejected Jimmy Carter coming on the news the next morning to announce the failure of the mission, and the death of eight Americans. Mark Bowden has an extensive article about it (with supporting images, videos, maps, and documentation) at The Atlantic Online. A planned second rescue mission, Operation Credible Sport (aka Honey Badger) would have landed specially modified C-130s inside a soccer stadium near the Embassy. That would seem at least as problematic. A lenthy 26JAN81 TIME article reviewed the entire chain of events, from the initial taking of the hostages. CHARLOTTE HALL, Md. (AP) -- Lloyd Brown, the last known surviving World War I Navy veteran, has died. He was 105. Brown died Thursday at the Charlotte Hall Veterans Home in St. Mary's County, according to family and the U.S. Naval District in Washington. His death comes days after the death of the last known surviving American female World War I veteran, Charlotte L. Winters, 109. The deaths leave three known survivors who served in the Army, and a fourth who lives in Washington state but served in the Canadian army, according to the Department of Veterans Affairs. The last known vet to have been in combat, Howard Ramsey, died on 22FEB07, as reported in the 19MAR07 Burst fire post. Sixty-two years ago, in 1945, the amphibious assault of Okinawa (which would turn out to be the last major battle of WWII) began. Six days later, the huge Japanese battleship Yamato was sunk. Twenty-eight years ago, in 1979, Iran was proclaimed an Islamic Republic following the fall of the Shah, and the war we are now in began. Twenty-five years ago, in 1982, Jimmy C gave the Panama Canal away. Two years ago (plus a day), Pope John Paul II passed on to his reward. One year ago, Cynthia McKinney accused a Capitol cop of racism. [01APR06 A-C-E post]. Fortunately, even Georgians rarely hear about her now. She did an outrageous speech at the 17MAR07 anti-war rally, but ACE missed it.